MIT Vishwashanti Gurukul Teachers Training Academy celebrated the National Unity Day. To take a walk down the corridors of nostalgia, the first alumni of MIT VGTTA was inaugurated by Hon. MIT Vishwashanti Gurukul Teachers Training Academy, B. Ed College(English Medium) , Loni Kalbhor is embodiment of excellence and high value system. The serene beauty of the campus environment (it is located on the sprawling grounds of Rajbaug, Loni Kalbhor) adds to the charm of studying in this educationally charged atmosphere. Its quintessence lies in amalgamation of scientific and spiritual inclinations. 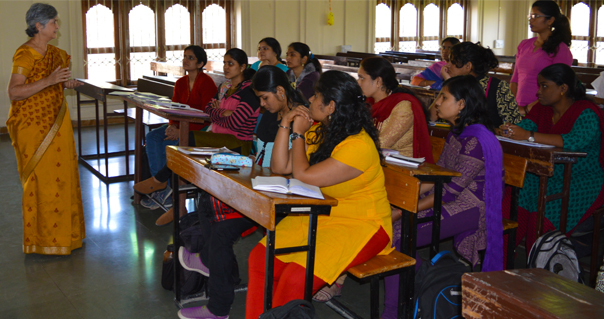 MIT Vishwashanti Gurukul Teachers Trainings Academy, B. Ed College(English Medium) is mindful of the key role our college plays in the development of productive teachers and our impact on multiple levels of community and society. It is a teacher training academy where dissemination and application of knowledge are synergistically balanced. It is an institution that aspires to offer myriad of opportunities to evolve continuously into better teachers and thus better human beings. We at MIT VGTTA provide exposure to advanced technologies and information which facilitates the student - teachers immensely in the achievement of remarkable academic journey. Thus, we act as catalyst in fulfilling student - teachers' aspirations to become accomplished professionals in the field of education.